Please ask for DVDs & VHS by call number at the Reserve Desk on the lower floor of the Library. Faculty may borrow for up to three days; everyone else can watch the film in the Library; in our media room or on a computer with headphones. Browse our list of DVDs (titles & call numbers). 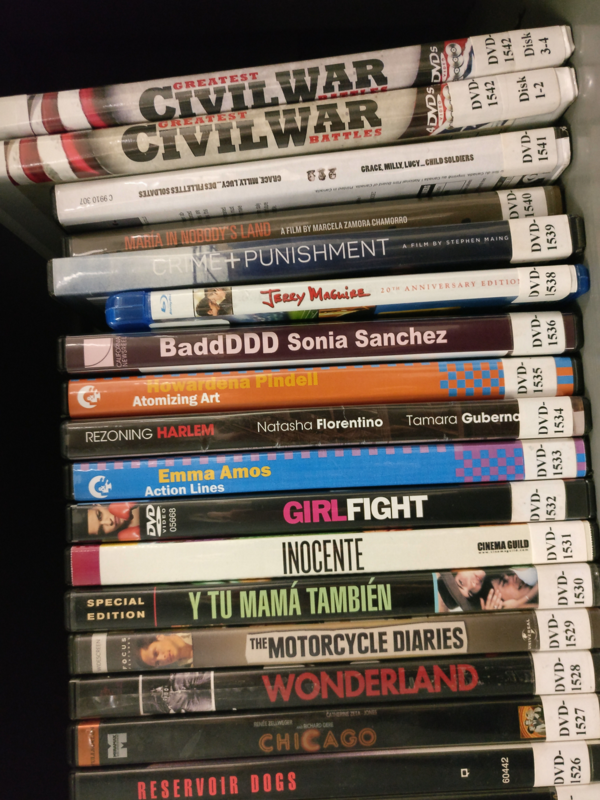 DVD's can be viewed on any Library computer, use your own headphones or borrow ours. We have a VHS player in our media viewing room - please ask the staff at the circulation desk for directions. 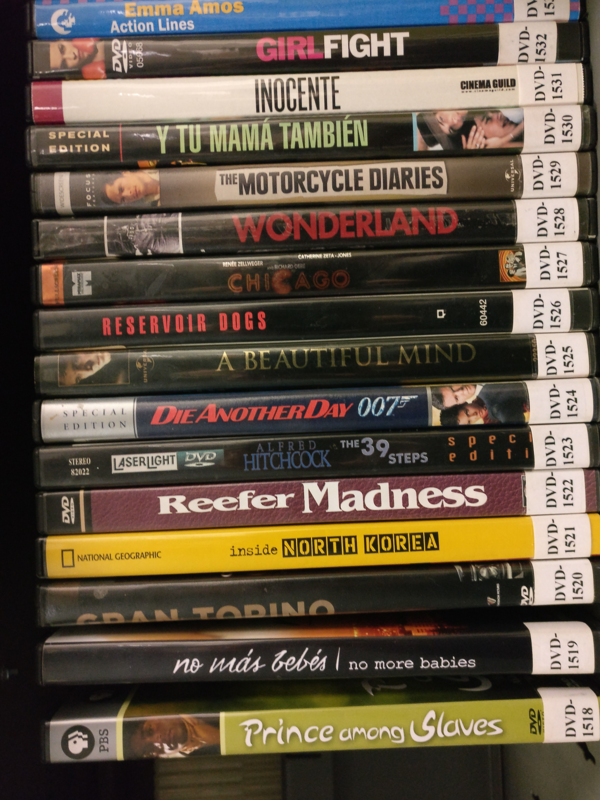 The Library's collections include streaming video, streaming audio, DVDs, VHS, and CDs. 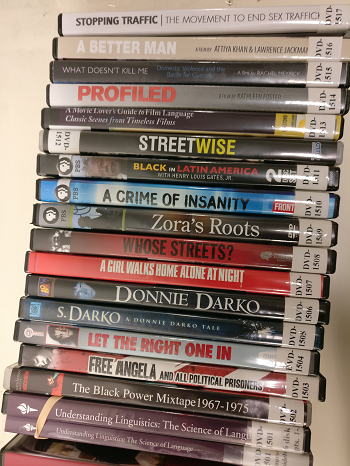 Search our media collection here. Who can check out a DVD or VHS? As DVDs and VHD are intended for classroom or individual viewing at John Jay College, our loan periods are short. John Jay Faculty may borrow for a 3-day loan period and can request an extension prior to the due date at libvideo@jjay.cuny.edu. All other CUNY faculty and all CUNY (including John Jay) students get a 3-hour loan period and must watch the videos in the Library. Non-CUNY patrons need to arrange a guest pass into the Library and then arrangements can be made for them to view a video on premises. Faculty should reserve DVDs in advance for classroom use. Searchable & browsable list of all our DVD titles in a PDF, listed by date acquired, most recent ones first.